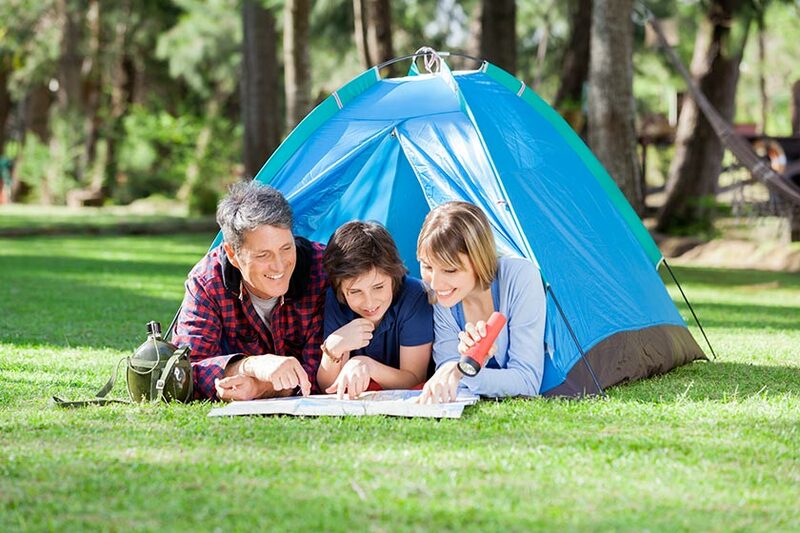 Planning a family vacation for the summer or early fall is not an easy feat, especially if the kids are eager to travel and experience new places and activities. When it comes to family trips, scheduling everything to a tee is mandatory to avoid things getting out of control. While surprises and unexpected things can occur, it is always better to stay a few steps ahead and make sure you are ready for anything. The best way to perfect and master a family vacation this season is using a printable calendar. You may think that printable planners and sheets are obsolete, but you would be wrong. First, children will love to engage in the vacation planning together with the adults as you allow them to mark dates and activities on the calendar and write down their notes. Secondly, you cannot always rely on laptops and smartphones when you travel, but a printable calendar will still be by your side no matter what power outlet your hotel has or how good the internet connection is in some country. Therefore, let us see five ways a printable calendar allows you to create and follow the perfect family vacation and itinerary! Planning a trip is challenging enough, but when kids (or other family members tag along) things may get even harder. Get your hands on a printable October 2018 calendar for example if you plan your vacation that month. Keep in mind that some days in October need particular attention (the daily schedule will remind you of them) regarding traffic or bookings, so consult your calendar and the days of the month with care. Mark the departure and arrival dates on your calendar and make notes about some special days you need to focus on regarding traffic jams, crowded hotels, expensive travel packs or closed venues, etc. Note down on the calendar everything the family needs to do in the period before departure day: dad solves passports, mom gets travel insurance for everybody, mom and dad make hotel reservations, kids start packing, etc. If you have the primary dates and essential tasks to do marked down, use other colored pens to circle and note down essential aspects that you need to take care of before you leave (pay bills, take the dog to the grandparents, postpone meetings, go shopping, etc.). If you plan your vacation in a foreign country, your printable calendar will be a fantastic tool to keep track of your progress, especially regarding some documents for the children or some extra-benefits you want to book for the kids at the destination. If you plan a shorter trip in your area, remember to note down on your calendar some hours and reminders regarding the best course of action for those days. Beating the Columbus Day traffic is not for the faint of heart, not when they have kids in the back of the car! Now that you marked the most important dates, times, and to-do activities on your calendar before the departure date (and for the departure date specifically), it is time to put the calendar to good use and allow it to become your silent travel agent! Engage the children in the planning of the trip before you arrive at the destination; ask them what things and activities are most important and allow them to pick the things they also want to do. Mom and dad can note down on the calendar the dates and names of museums they want to see, but kids should also have the opportunity to pick some vacation days and mark down their trip proposals (amusement park, scuba diving, kids’ museums, a show, a guided tour, ). Circle the rest days on your calendar. You all need to rest in between landmarks, excursions, guided tours, bar hopping, and amusement parks. Spend those days at the beach or resting on your hotel terrace and let the children know that if something extraordinary occurs during a rest day, you will take the opportunity to participate in the remarkable In other words, plan for rest but allow room for spontaneity and delightful surprises. When you allow children to have a saying in your planned vacation, you offer them your trust. It will make things a lot easier for all, even if you wanted to get a tan, but they want to ride ponies. Compromise is the key to a peaceful family vacation. The pack arrived at the hotel, and the entire family is tired but excited about their vacation together in a wondrous place that waits for you to discover it. While this is extremely exciting, do not forget your calendar. Take it out and put it on the table or the room’s fridge door. This way, everybody can see what activities come this afternoon or the next day. If you want to avoid endless questions along the lines of “what are we going to do tomorrow?” or “can we go see the fish tomorrow, can we, can we, can we?” it is better to put the calendar for everybody to see it. You can also cross off the calendar the things you already saw and did – it gives kids a sense of accomplishment and achievement – and reschedule some activities in case of bad weather, a local traffic jam, or something unexpected. When you put a printable calendar with written to-do tasks on it and children in the same vacation, remember that you need to allow surprises, changes of mind, mood swings, accidents, sudden under-the-weather moments, and so on. In other words, be ready to reschedule, skip, or advance some activities on the calendar during your vacation so everybody is as happy as can be. While we are aware that you make the best use of your travel credit card, when you vacation with kids, sometimes things can go out of hand. From delicious treats to kids’ activities and adventures, most things come with a price, especially if you travel to a foreign country. To keep your card and cash budget in check, use your best buddy the printable calendar. At the end of each day, note down how much you spent (and maybe on what you spent the money). It will help you have a bigger picture of how things are, financially speaking, and what matters to avoid the next day. If you feel you paid a steep tourist price for yesterday’s dinner, take some time and find some cozy local hole in the wall with good food that is not a tourist trap. If you bought kids toys, skip the gift part tomorrow and take them to the aquarium instead. Since the calendar today you arrive back home, make sure it comes together with you as well. Keeping the calendar once the vacation is over can play several roles. Frame it or put it with a magnet on the fridge’s door as a cute reminder of your family vacation together. If you want to make the kids a sweet surprise, make a handmade poster for their room with a collage of the best vacation photos you took, the calendar (all annotated and scribbled), keepsakes, postcards, and other souvenirs. Such an artwork will keep them excited for the vacation you will take next year. Use the calendar as a planning tool for the future. If you loved that particular destination and wanted to revisit it, you will have your old calendar with things you did to plan the new stuff you want to do (or redo) when you go back there. Since you also made notes about daily expenses, you will have a better idea on how to plan your budget next summer/fall if you are confident you want to go back. A printable calendar is an incredibly simple and useful tool to use when you travel with kids. The little ones are tech savvy at early ages, but nothing beats the feeling of crossing with red markers a piece of paper saying they just visited Disneyland.